We are pleased to announce that is now available for rebates is one of the oldest CIS brokers - ForexClub . Forex Club - a well-known international brand in the online investment and trading market. Since 1997 FxClub helps customers to invest and trade in a wide range of financial instruments, including Forex market, stocks, gold and other metals, oil and gas. Broker ForexClub opened more than 100 offices around the world, including Russia, Ukraine, Kazakhstan, Armenia, Azerbaijan, Belarus, the USA, China, Malaysia and other Asian countries, the European Union and Latin America. It was created more than 50 effective training courses and written several best-selling financial, which have been translated into many languages ​​of the world. ForexClub provides 2 trading platforms - Libertex and MetaTrader 4. 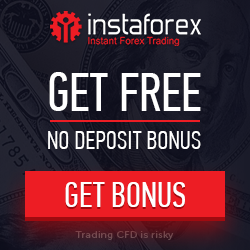 Trading on both platforms, you will receive a daily rebates from ForexRebate.me service. Rebate when trading on MT4 is 3.85 dollars per 1 lot (in EUR / USD pair). When trading Libertex - 3,7 USD per 1 lot for the pair EUR / USD. Read the full information about the broker you can at Forex Club Profile.